Or perhaps I should have called this "where's that dam' button gone?" In Internet Explorer 11, the compatibility view button is removed from the address bar; supposedly because document modes are now deprecated. But there's a long tail of development in which X-UA-Compatible meta tags are not or cannot be added to website HTML headers. However, what if some sites still don't render properly? If you recall Internet Explorer 8 onwards, there was 'compatibility view' button on the address bar - the little broken page icon (hint, the page was broken largely because your dam' browser broke it, Redmond). It was to help users deal with web page rendering issues by switching to the older compatible mode of rendering the same web page; at the cost of disabling the new standards supported in edge mode. One thing I need, that only works in IE, is a remote desktop app for my current client's intranet. 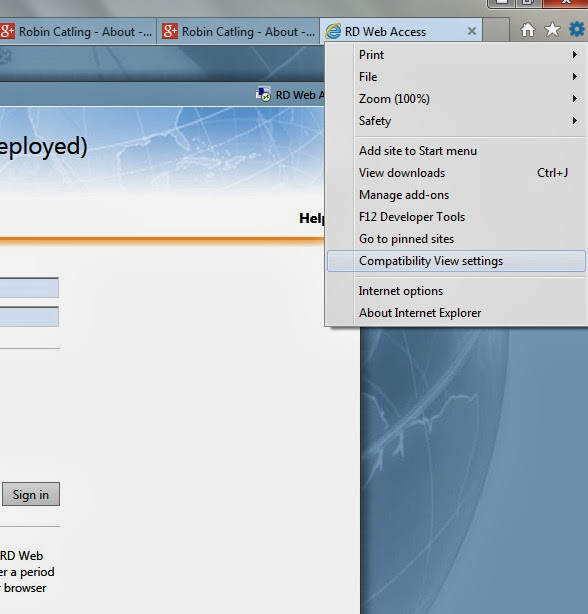 RDWeb may be a bit long in the tooth but it still works and is a vital part of the infrastructure. 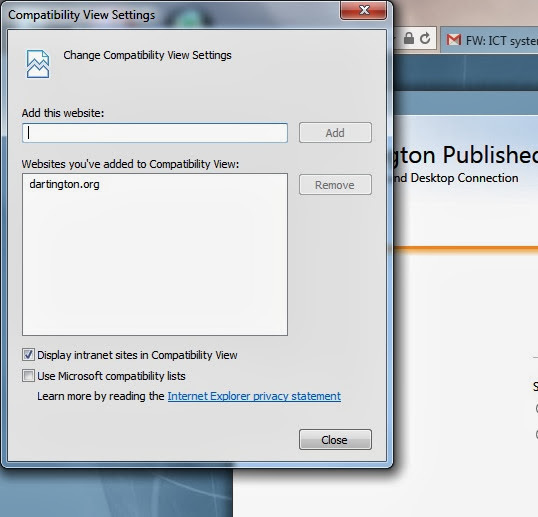 The good news is the compatibility view remains in IE11 and can be enabled per site. You can force specific sites to always render in compatibility view by adding them in the compatibility view list using the "add this website" option, if, or until, developers are update those websites to work in IE11's edge mode.